Cold and Snowing where you are? Maybe you should pack up and head to Longbow Golf Club where summer breezes are still going on. Our newest Showcase Course, Longbow's expanding fleet of 16 GolfBoards are attracting players from around the area and around the country. A Ken Kavanaugh layout originally built in 1997, the course was redesigned in 2001 and now offers 2 different membership levels, both of which include GolfBoard use at no extra charge! Bob McNichols, General Manager, said they originally were looking to encourage a new demographic of golfer who was interested in a new experience. "We needed to expand our fleet simply based on demand. We would sell out on the weekends and didn't have any left for other golfers who requested them," he said. Longbow does about 37,000 rounds per year and has seen an increase in younger players since offering the GolfBoards. They brought the boards in to make it more fun and have seen it appeal to all ages and genders. Longbow is managed by OB Sports Golf Management. 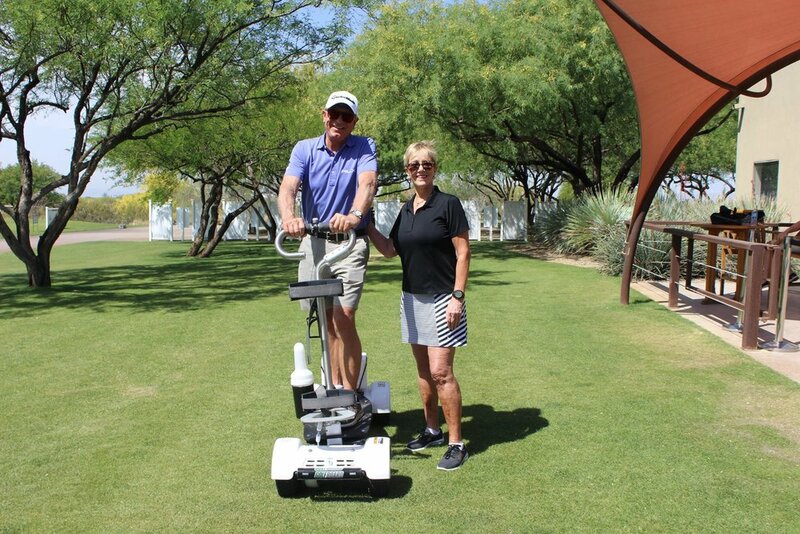 Reserve your Longbow tee time by calling 480-807-5400 and enjoy your summer breeze on a GolfBoard!